When Astrid first contacted me she gave me a very short description of the Gate. It was enough for my imagination to take flight. Big pine trees, shadows, some mist and the gate to a secondary world where the other side holds winter and snow. I instantly had a flash of how I wanted to turn those words into a book cover. Sometimes ideas are like magic, they just happen. So, after all the formal things were settled, this cover came to life rather quickly. I’m very happy to say that both Astrid and I feel very content with how it all turned out. Now I cross my fingers and wish for the printers to do this picture justice on paper. I hope it’ll be perfects. I’ll post more about Porten when it is available for purchase. 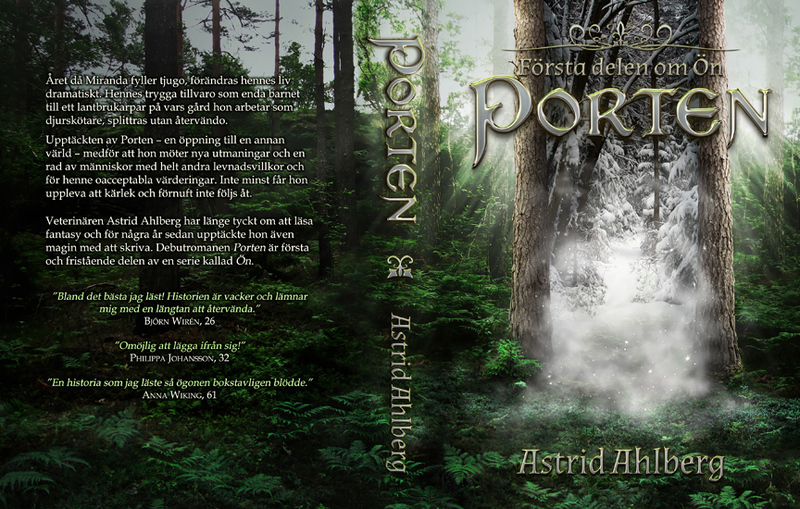 In the meantime, go visit Astrid’s blog about Porten, writing, publishing and all sorts of things.